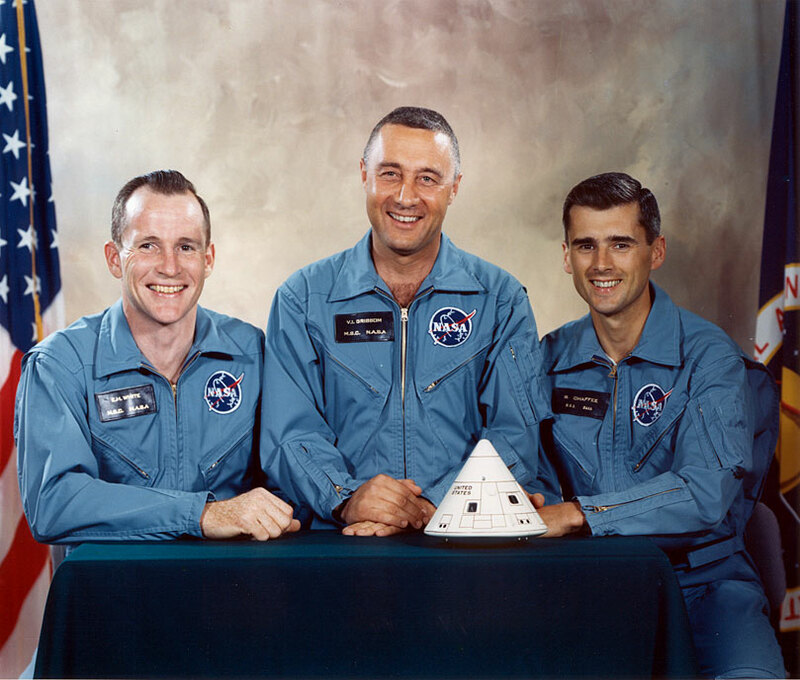 Today marks the 50th anniversary of one of the worst tragedies to befall NASA: the fire that ignited inside the Apollo 1 (Apollo 204) command module during a test at Kennedy Space Center, claiming the lives of primary crew astronauts Gus Grissom, Ed White, and Roger Chaffee. The event is solemnly remembered every January 27. 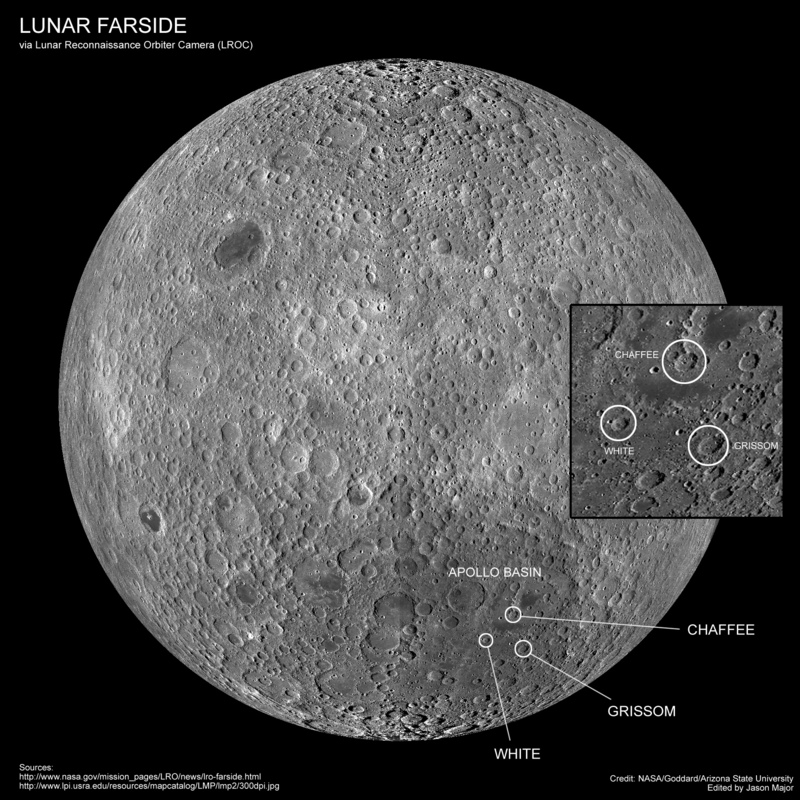 While it’s certainly not a pleasant thing to think about the Apollo 1 disaster had an undeniable impact on NASA’s lunar mission. Although it resulted in the death of three talented young men in the prime of their careers, it demanded engineers redesign the Apollo spacecraft with more safety in mind—features which, ultimately, contributed to the success of the entire program. Without these redesigns, the Apollo 11 Moon landing may not have been a success just a couple of years later. 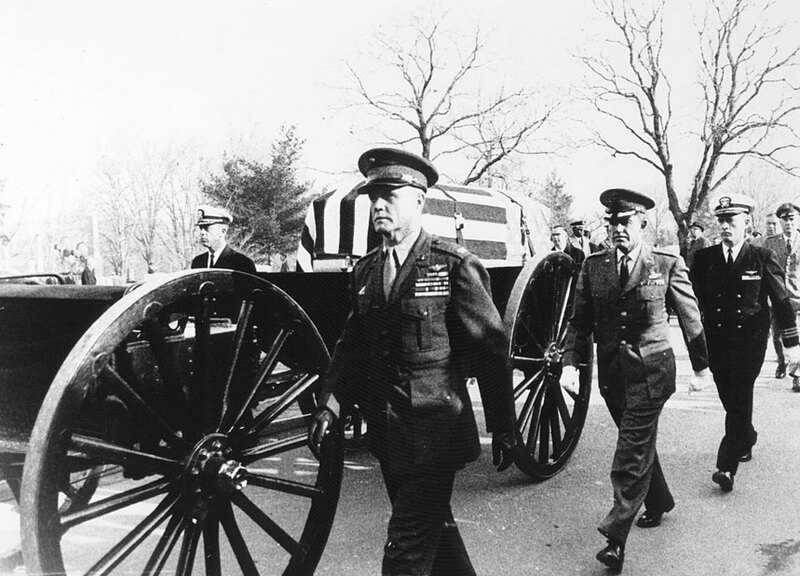 Despite the horror of the event and the tragic loss of lives, Grissom, White and Chaffee’s deaths were not in vain. 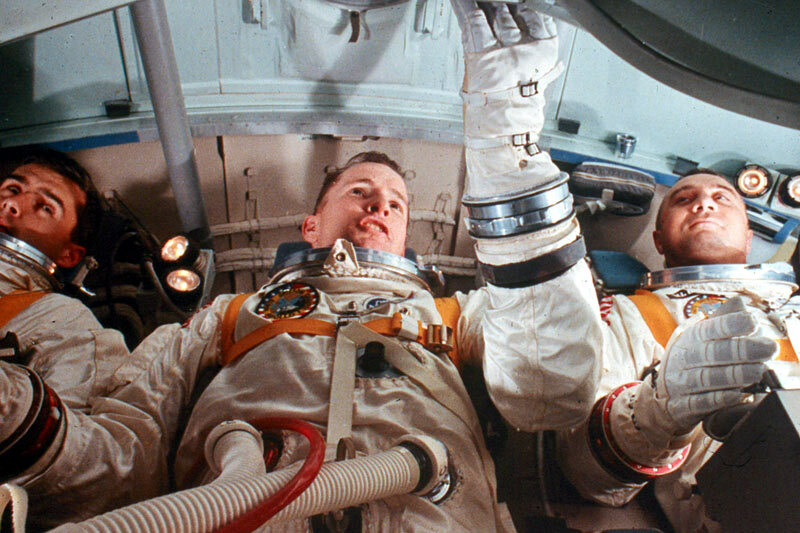 Selected in the astronaut group of 1959, Grissom had been pilot of MR-4, America’s second and last suborbital flight, and command pilot of the first two-person flight, Gemini 3. Born on 3 April 1926 in Mitchell, Indiana, Grissom was 40 years old on the day of the Apollo 1 fire. Grissom received a B.S. in mechanical engineering from Purdue University in 1950. White had been pilot for the Gemini 4 mission, during which he became the first American to walk in space. He was born 14 November 1930 in San Antonio, Texas, and was 36 years old on the day of the Apollo 1 fire. He received a B.S. from the U.S. Military Academy at West Point in 1952, an M.S. in aeronautical engineering from the University of Michigan in 1959, and was selected as an astronaut in 1962. 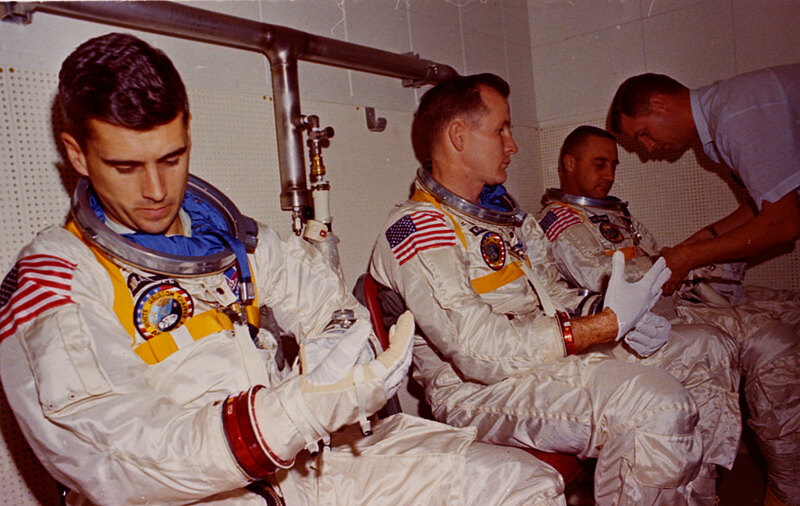 Chaffee was training for his first spaceflight. He was born 15 February 1935 in Grand Rapids, Michigan, and was 31 years old on the day of the Apollo 1 fire. He received a B.S. in aeronautical engineering from Purdue University in 1957, and was selected as an astronaut in 1963. 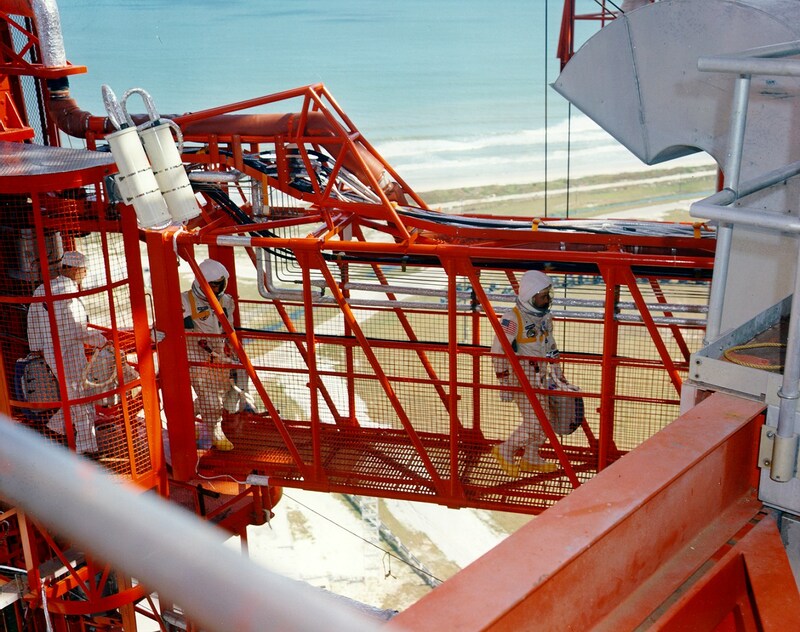 The test was initiated at 12:55 GMT (7:55 a.m. EST) on 27 January 1967. After initial system tests were completed, the flight crew entered the command module at 18:00 GMT. The command pilot noted an odor in the spacecraft environmental control system suit oxygen loop and the count was held at 18:20 GMT while a sample of the oxygen in this system was taken. The count was resumed at 19:42 GMT with hatch installation and subsequent cabin purge with oxygen beginning at 19:45 GMT. The odor was later determined not to be related to the fire. At 23:30:54.8 GMT (6:30:54 p.m. EST), a significant voltage transient was recorded. The records showed a surge in the AC Bus 2 voltage. Several other parameters being measured also showed anomalous behavior at this time. Personnel located on adjustable level 8 adjacent to the command module responded to the report of the fire. 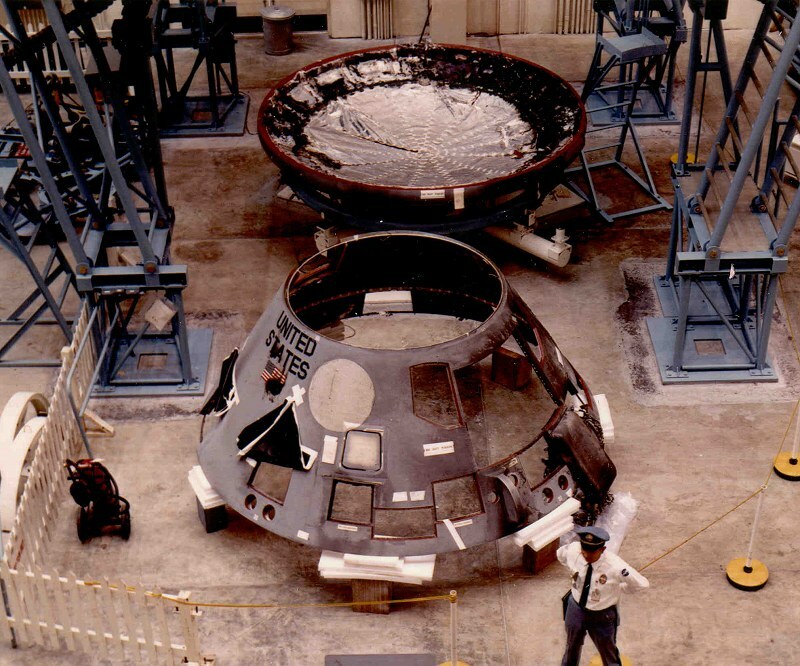 The pad leader ordered the implementation of crew egress procedures and technicians rushed toward the White Room which surrounded the hatch and into which the crew would step upon egress. Then, at 23:31:19 GMT, the command module ruptured. “All we felt was heat and ashes.” — read an account of the rescue attempt in the White Room from QC inspector Henry Rogers, written by his granddaughter Kaleigh Rogers. 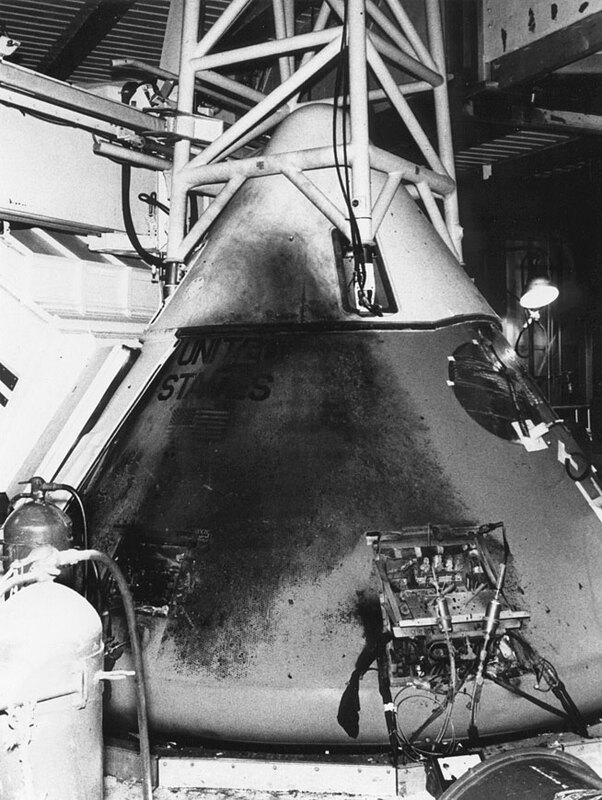 On the day of the fire, the outer or BPC hatch was in place but not fully latched because of distortion in the BPC caused by wire bundles temporarily installed for the test. The middle hatch and inner hatch were in place and latched after crew ingress. 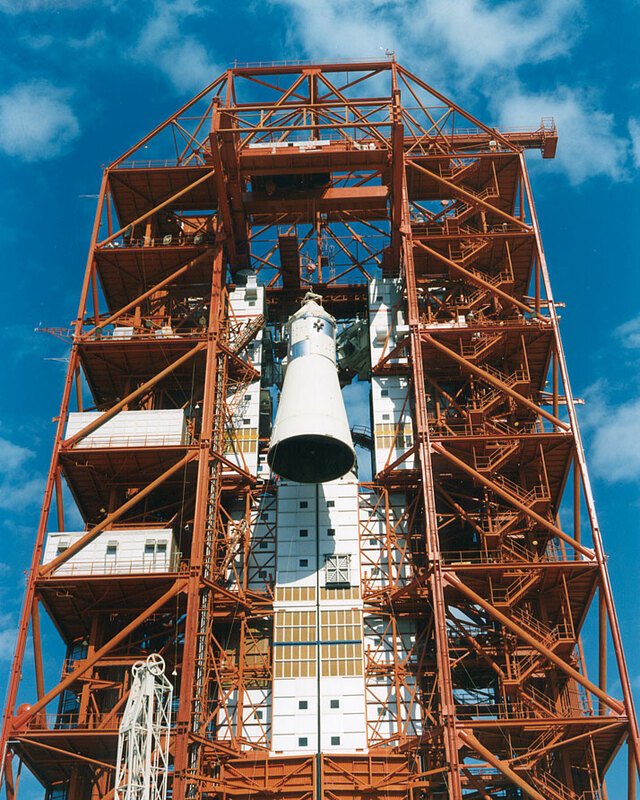 Although the BPC hatch was not fully latched, it was necessary to insert a specially-designed tool into the hatch in order to provide a hand-hold for lifting it from the command module. 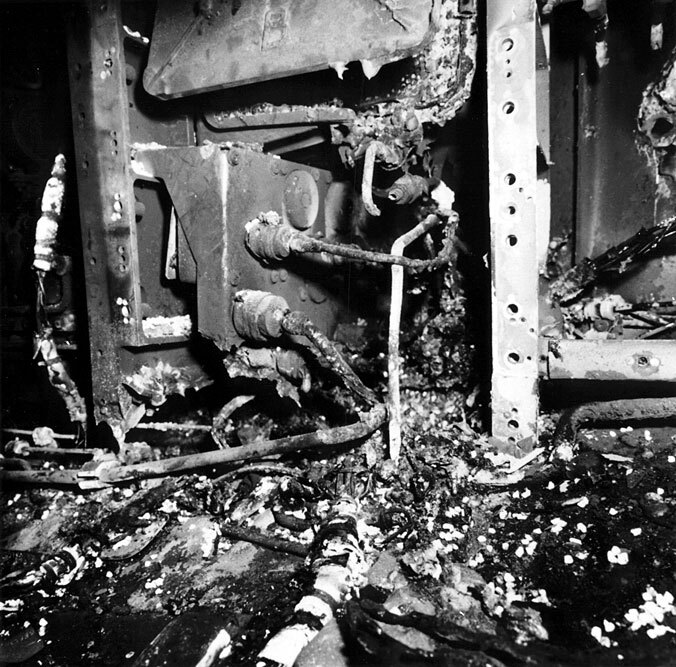 By this time the White Room was filling with dense, dark smoke from the command module interior and from secondary fires throughout level A-8. It was estimated on the basis of tests that seven to eight minutes were required to travel from the fire station to the launch complex and to ride the elevator from the ground to Level A-8. Thus, the estimated time the firefighters arrived at level A-8 was shortly before 23:40 GMT (6:40 p.m. EST). Initial observations and subsequent inspection revealed the following facts. The command pilot’s couch (the left couch) was in the “170 degree” position, in which it was essentially horizontal throughout its length. The foot restraints and harness were released and the inlet and outlet oxygen hoses were connected to the suit. The electrical adapter cable was disconnected from the communications cable. The command pilot (Grissom) was lying supine on the aft bulkhead or floor of the command module, with his helmet visor closed and locked and with his head beneath the pilot’s head rest and his feet on his own couch. A fragment of his suit material was found outside the command module pressure vessel five feet from the point of rupture. This indicated that his suit had failed prior to the time of rupture (23:31:19.4 GMT), allowing convection currents to carry the suit fragment through the rupture. The senior pilot’s couch (the center couch) was in the “96 degree” position in which the back portion was horizontal and the lower portion was raised. The buckle releasing the shoulder straps and lap belts was not opened. The straps and belts were burned through. The suit oxygen outlet hose was connected but the inlet hose was disconnected. The helmet visor was closed and locked and all electrical connections were intact. The senior pilot (White) was lying transversely across the command module just below the level of the hatchway. The pilot’s couch (the couch on the right) was in the “264 degree” position in which the back portion was horizontal and the lower portion dropped toward the floor. 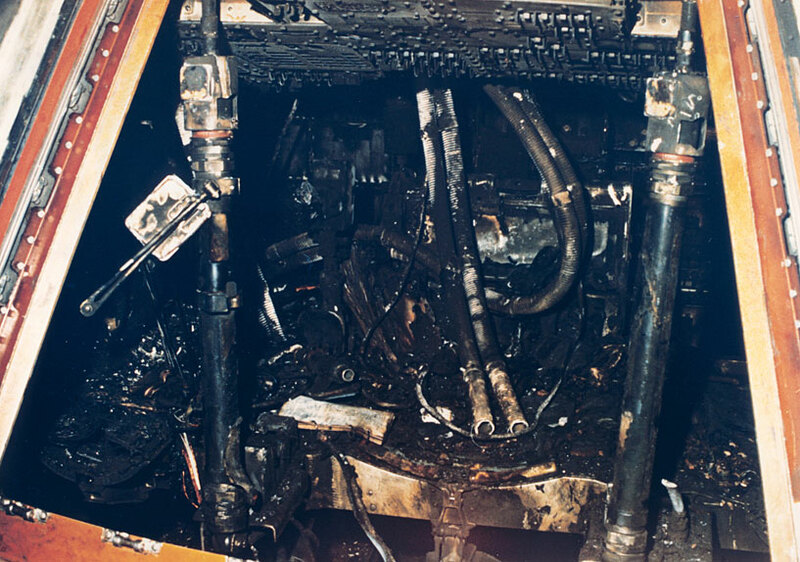 All restraints were disconnected, all hoses and electrical connections were intact and the helmet visor was closed and locked. The pilot (Chaffee) was supine on his couch. 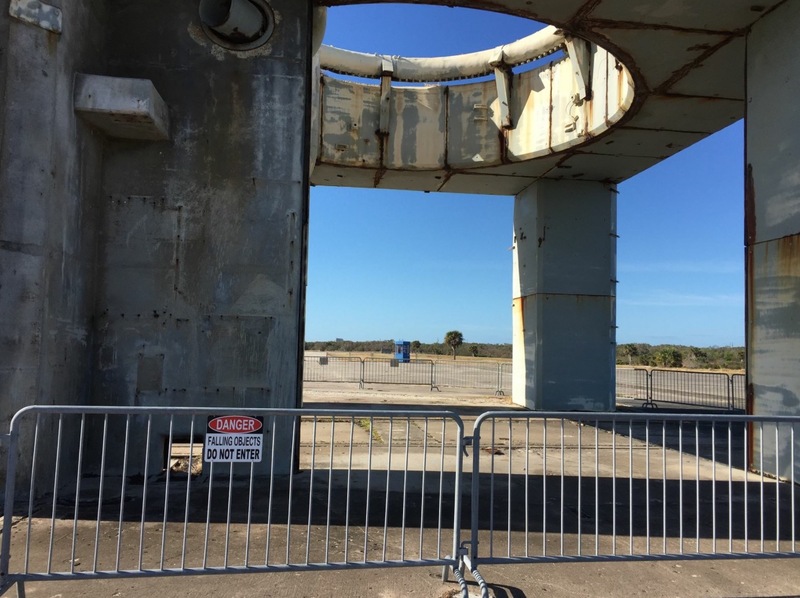 Immediately after the accident, additional security personnel were positioned at Launch Complex 34 and the complex was impounded. Prior to disturbing any evidence, numerous external and internal photographs were taken of the spacecraft. 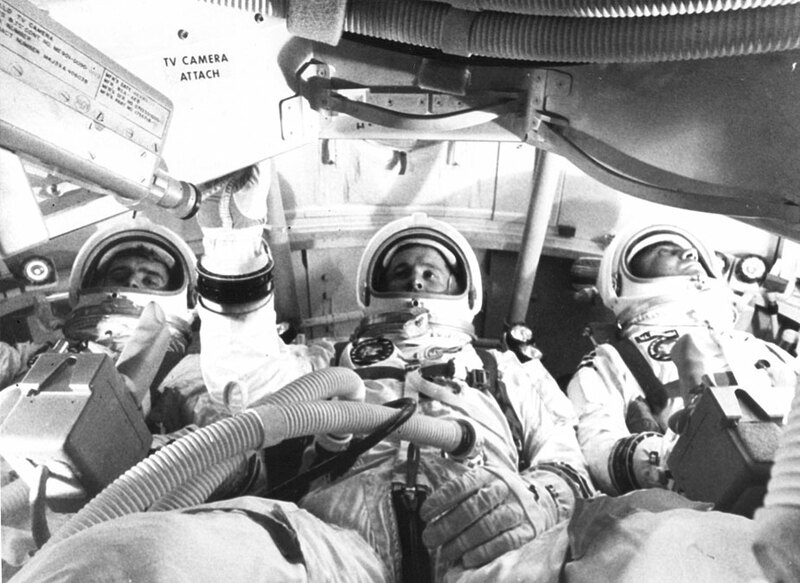 After crew removal, two experts entered the command module to verify switch positions. Command module 014 was shipped to NASA Kennedy Space Center (KSC) on 1 February 1967 to assist the Board in the investigation. After the removal of each component, photographs were taken of the exposed area. This step-by-step photography was used throughout the disassembly of the spacecraft. Approximately 5,000 photographs were taken. • A sealed cabin, pressurized with an oxygen atmosphere. • An extensive distribution of combustible materials in the cabin. • Vulnerable wiring carrying spacecraft power. • Vulnerable plumbing carrying a combustible and corrosive coolant. • Inadequate provisions for the crew to escape. • Inadequate provisions for rescue or medical assistance. Read another account of the event here on Ars Technica. Also, this year on the anniversary of the fire, an exhibit honoring the memory of the event and the lives of the three astronauts will be opened to the public at Kennedy Space Center. 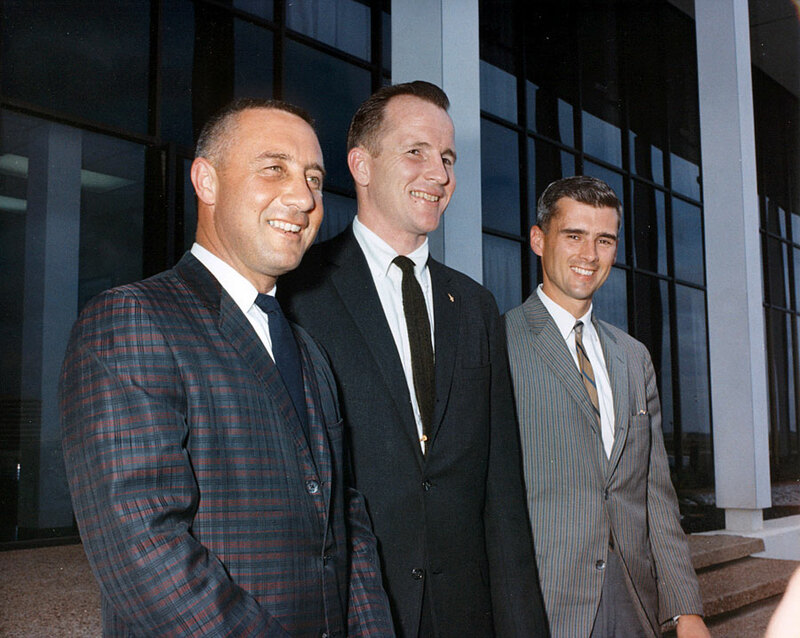 The three layers of the hatch from the Apollo 1 command module will be put on permanent display at the Saturn V building, a tribute to Gus, Ed, and Roger. It’s a dedication that many feel is long overdue.